Japan produces some of the most advanced technology in the world. Therefore, it’s not surprising that their mobile phone and mobile wireless technologies are some of the best in the world. Japan’s mobile phones are known as “Keitai”. Some of the leading producers of these mobile phones are NTT Docomo, KDDI, and Softbank. NTT Docomo is number one, having more than 50 million subscribers. 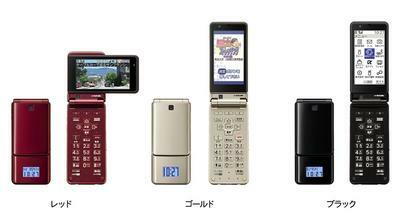 Unlike America and Europe where there are a large variety and styles of mobile phones, Japan’s mobile phones are very similar in look; usually a slim flip phone. In addition, the wide range of services offered is amazing. Among these services include mobile web, mobile advertising, mobile gaming, and even mobile novels. These devices are set up to support these services with built in devices and utilities such as email, cameras, video and audio players, QR code and a lot more. Similar to western mobile phones, only they are able to view higher quality content due to stronger wireless coverage. Mobile email is as popular over there as text messaging is over here. In fact, text/multimedia messaging is pretty much not used as mobile email allows for much better content and is generally cheaper to implement and use. As gaming is very popular in Japan, it’s no wonder that they have a large mobile gaming market. Most of the companies we visited talk about their mobile gaming market. D3 Publisher has so many subscribers that it is able to offer a cheap monthly subscription of 100 Yen for certain games. FutureScope is expecting 110 Million subscribers this year, and FieldsMobile offers a lot of mobile content such as wallpapers, game applications, and even offers the official mobile content of DreamWorks. The fact that mobile gaming is so popular in Japan shows what their phones and networks are capable of. In the west, we typically don’t have advanced games for our phones because our phones and networks can’t support them. One Keitai feature that is really impressive is Quick Response (QR) code. These codes come in the form of a little black and white barcode-like square with data encoded into it. Data is downloaded on to a mobile phone from the QR Code by taking a picture of it with the keitai’s built in camera, but only if the phone has a QR Reader Application installed in the phone. Once the data is decoded, the user will be taken to a website, receive contact information to contact someone, download files, etc. Because of this, many companies use this code on a lot of their products and advertisements as a way to conduct business. Many Keitai have the feature to interact with these 2-Dimensional codes. The Japanese are able to use such high-tech features because of the powerful wireless networks these features depend upon. NTT Docomo for example is in the process of strengthening their 3G networks while at the same time developing Long Term Evolution (LTE) and 4G networks. This would allow data to be delivered to mobile phones at higher speeds and create stronger throughput. Seeing as they already have fast connection speeds, it’s not surprising to see why they are able to access such large-size content such as music, videos, and games on their phones. This review is not even the tip of the iceberg regarding Japanese mobile phone technology, but it should serve to explain how far ahead their technology is from the rest of the world and why the Japanese are the leaders of mobile technology worldwide. It would be great once the west is finally capable of that sort of technology and it becomes a standard here, but by the time that happens, Japan will be well on their way to developing the next standard in mobile phone technology!